And may they keep changing for the better. This book was printed in 1967. The year I was 15 and went to the Monterey Pop Festival. A life altering experience. But not nearly as life altering as what would occur about a decade afterward. I came out. Just before AIDS arrived. So I had a good taste of "sexual freedom" before the walls came tumbling down. Sexual freedom, if you considered being uptight about being gay in a hostile society a freeing experience. Some fine orgasms before the fear really grabbed hold. 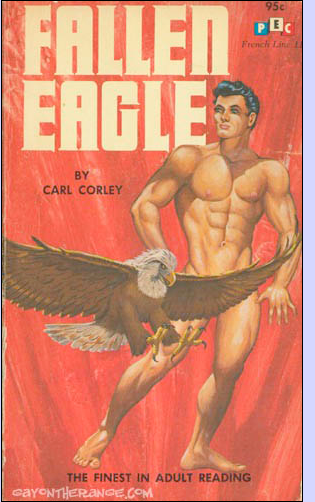 I think of the eagle soaring on this book jacket as a symbol of that fleeting freedom. (The fellow is "fallen" like a fallen angel. However fallen he may be the jacket artist made sure he has an alluring, firm figure. That sure isn't fallen, is it?) Where I live I see eagles around town. I saw a pair hanging out at the recycling center today. Despite the fact they can fly they are no more free than I am. We both depend on a sick society for support. 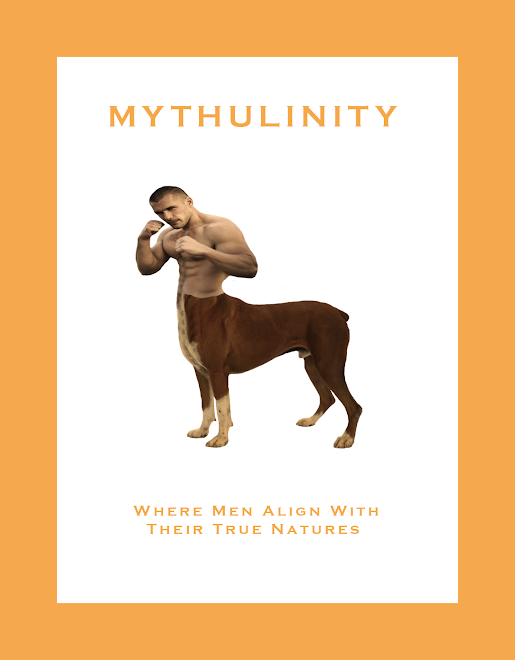 This blog is devoted to whatever freedom can be found in fantasy. Fantasy is the one truly liberating thing we have. Alas, if we could only get the sweet fantasy to really do some potent life altering action. I dream on . . .